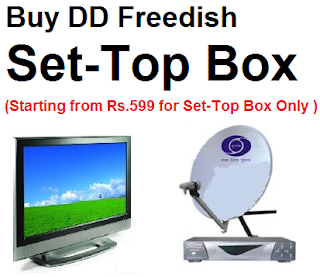 DD Direct Plus (DD Freedish) is India's only free DTH service, where you can get 80+ TV channels and 25+ radio channels free of cost, without any monthly charges. 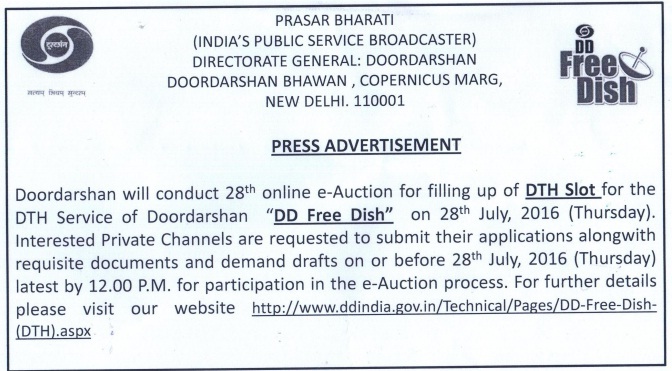 DD Direct Plus DTH going to conduct 28th online eauction on 28th July, 2016. 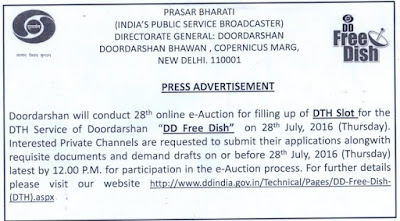 Interested private television channels can take part in this eauction, TV channels who win successfully auction will be available on DD Freedish free direct to home service. Here is press advertisement for this eauction.